It takes a strong person with lots of courage to stand up to injustice, bullying, and people who don't care about the lives of others. 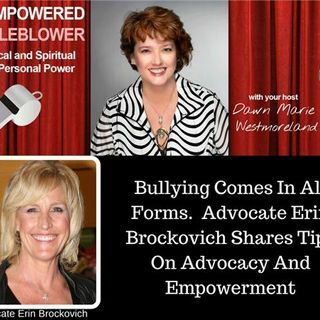 Erin Brockovich is no stranger to being a Disrupter and standing up for people so they can live healthier lives. 22 YEARS & STILL FIGHTING! Every day Erin Brockovich is helping people who have suffered because of environmental contamination, bad medical devices, and pharmaceuticals. She shares her advice on empowerment, advocacy, and ... See More stick-to-it-ness in this interview.